Vertaald door Ashfield House ligt in het centrum van Dublin, tussen Trinity College en O'Connell St. Onze bezoekers hebben gezegd dat deze 'uitstekende locatie' maakt het hostel een 'zeer handige kleine plek om te slapen na een nacht in Temple Bar'. 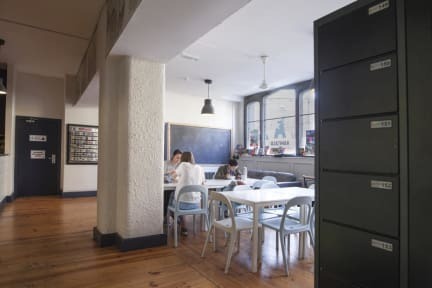 Deze 'perfecte home away from home' heeft 'vriendelijk en behulpzaam' personeel die gaan uit van hun manier om te helpen, plus gratis bagage-opslag, een 'heerlijk en vult' ontbijt en een '' eet me I \ 'm gratis \ 'kabinet' in de keuken. Wij willen hun dagelijkse wandelingen van Dublin. I had a amazing stay at the ashfield hostel. I was by myself and felt save. The staff is also really nice. Good security. Need to show a keycard to get in. You need to keycard to open the dorm door. You can put your stuff in a locker. The staff was very friendly and helpfull. The dorm it self is a bit smaller than i expected but good enough. It looked clean but behind bed and heater was a mess. Not been cleaned in a long time. The location is super! Mid-centre. All the sights are close by. Busstop very close. Trainstation also within 200 meters. 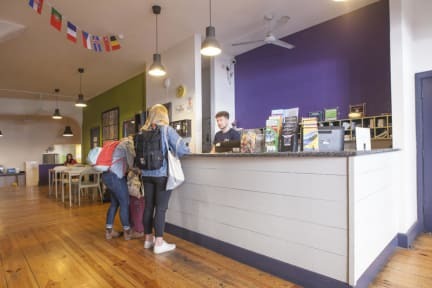 For a short stay in Dublin is a very good hostel. Second time I’ve stayed here. The location is perfect and the staff is really helpful. Only downside is that the en-suite bathroom had no mirror. So on a late night or early morning is really really inconvenient to get ready, seeing that you can’t turn on the big room light when people are sleeping in the morning or evening. Nonetheless I would still recommend this place! location is great and so was the staff! we had a wonderful time! it was a bit hot but no complaints there, and the floor of the room wasn’t clean. Great staff, good location, good vibe, relaxed, the breakfast was a lot! When we arrived we could still have breakfast, which was nice! Very noisy streetnoise when you have a room on the road side. Dorms are ok but matrass old. Clean. Excellent location staff and atmosphere. Clean room but not so clean sheets and duvets. Pretty expensive for the extent of luxury in the room but the location makes up for that. Ok accomadation. The location is great. The rooms are tiny, old and small. Breakfast is ok. The staff is friendly and helpful.